Location is incredible, very quiet area of the CBD on weekends. Easy access to venues and restaurants, walking distance to everything. Nice apartment with spacious kitchen-living area. Friendly staff. Great location if you are attending something at Docklands. I though this place was great value - simple place but did the small things well. 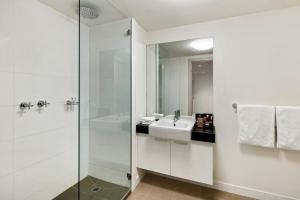 Big, clean bathroom and big, comfortable bedrooms. Great location. The location, apartment size, and staff were great. The foxtel and bathrooms were good. Good kitchen and space. Cleanness, location, facilities, and staff satisfied my expectation as an apartment. The perfect accommodation on every level. Highly recommend for the perfect getaway. 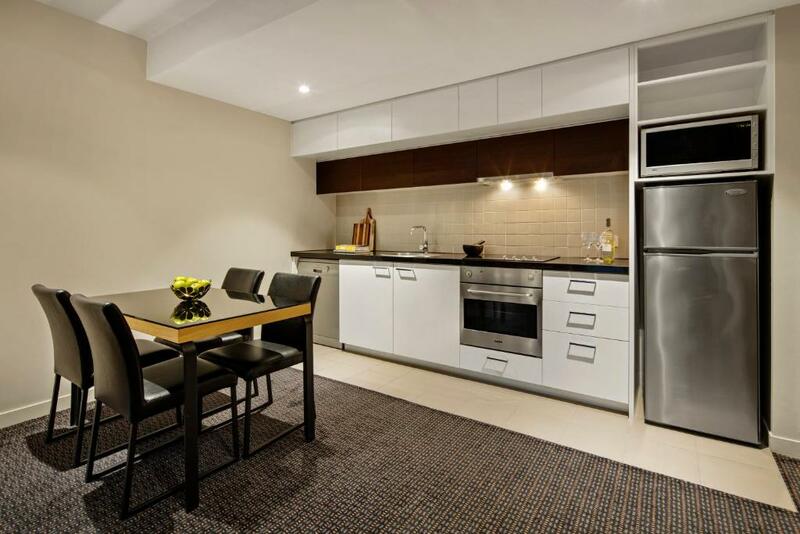 Lock in a great price for Quest Docklands Apartment Hotel – rated 8.9 by recent guests! 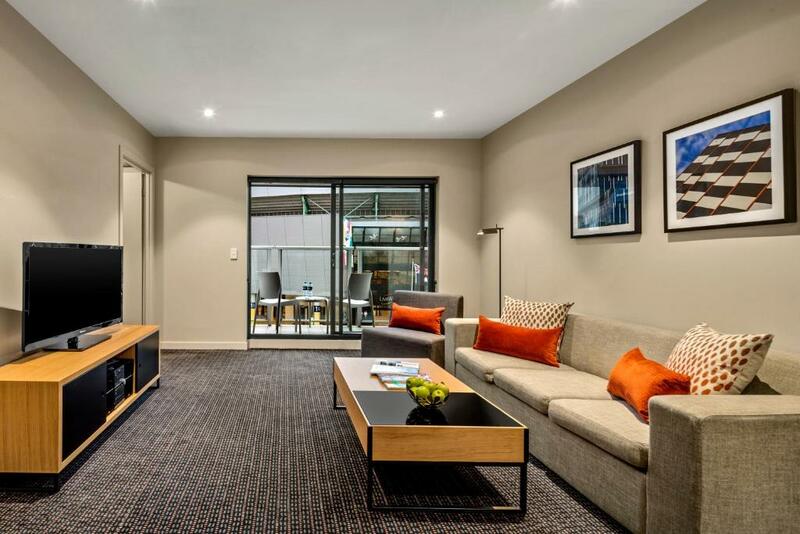 Quest Docklands Apartment Hotel This rating is a reflection of how the property compares to the industry standard when it comes to price, facilities and services available. It's based on a self-evaluation by the property. Use this rating to help choose your stay! 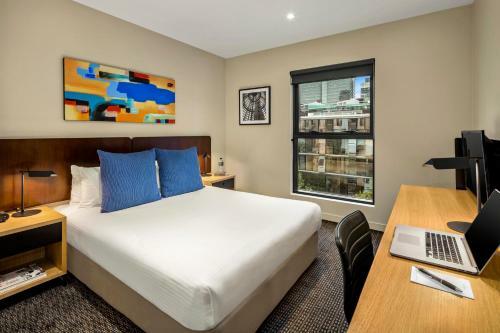 Quest Docklands Apartment Hotel offers stylish serviced apartments in Central Melbourne, just 5 minutes’ walk from the waterfront. You can stay connected in the well-equipped business center or work up a sweat in the fitness center. 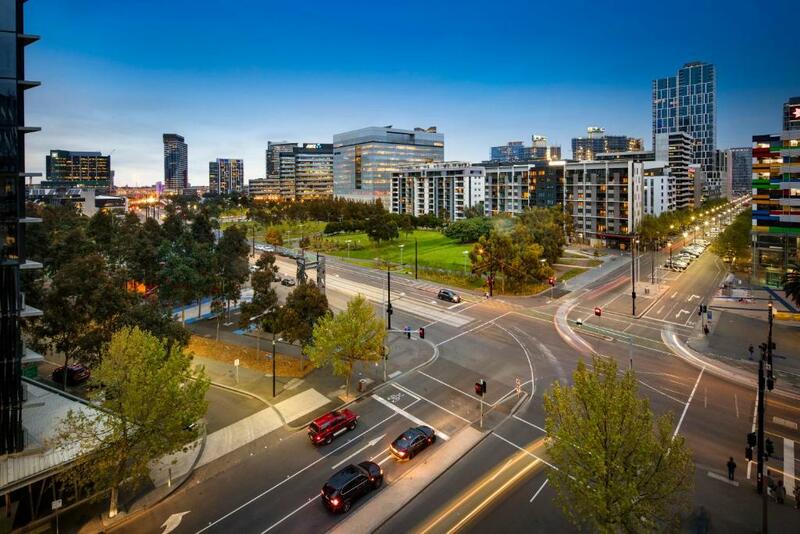 Quest Docklands is located next door to Etihad Stadium and is 15 minutes’ walk from the vibrant restaurants, bars, and cafes of Southbank Promenade. Melbourne Airport is 20 minutes’ drive away. These refurbished apartments are air-conditioned and offer an LCD TV with cable channels. Laundry and kitchen facilities are provided for your comfort. You can enjoy views over the city, and some apartments include a balcony. This aparthotel offers in-room dining options as well as charge-back facilities at 10 local restaurants. On-site parking and WiFi are available for an additional charge. Docklands is a great choice for travelers interested in convenient public transportation, clothes shopping and atmosphere. 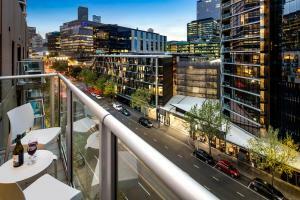 When would you like to stay at Quest Docklands Apartment Hotel? 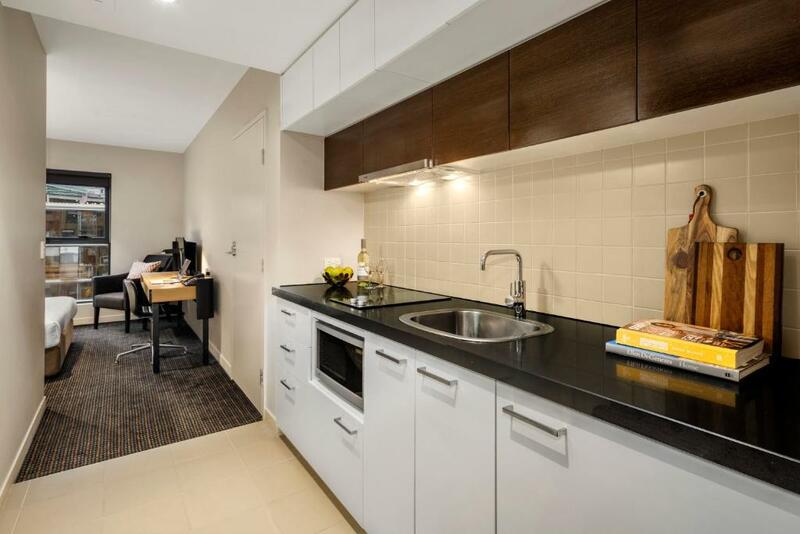 This smaller air-conditioned apartment features a kitchenette, a private bathroom and laundry facilities. Please note that this apartment has no balcony. This apartment has a tile/marble floor, washing machine and iPod dock. This apartment features a balcony, 2 bathrooms, a fully equipped kitchen and a private laundry. This apartment features a kitchen, rainfall walk-in shower and a balcony. 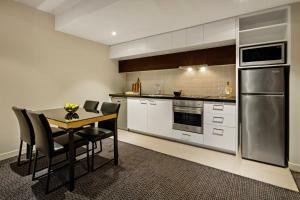 Quest Docklands is your ideal accommodation provider for the couple of nights in Melbourne or for longer term needs. We have fully serviced apartments that offer all the facilities needed to make your stay enjoyable and comfortable. We strive to provide a high quality service and create that home away from home experience. We feel you can have the best of both worlds when staying with us in Quest Docklands, as you can head onto the city with ease or walk down the road to the view the beautiful marina and water views. We are located on the doorstep of Eithad Stadium, so always love catching a game of football during the season or other exciting events being held there. We love our food so can always recommend the best places to eat, drink and have a good time. Need directions on where to go for the best local events - the team is always here to help! 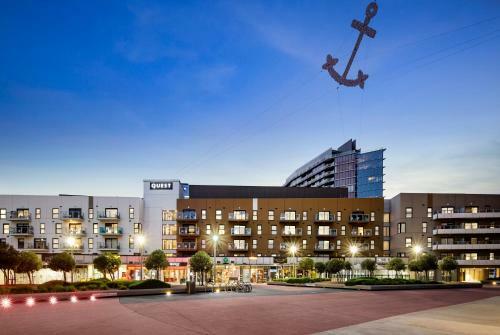 Quest Docklands is nestled in a fantastic location, right on the doorstep of Etihad Stadium and the Docklands Marina. 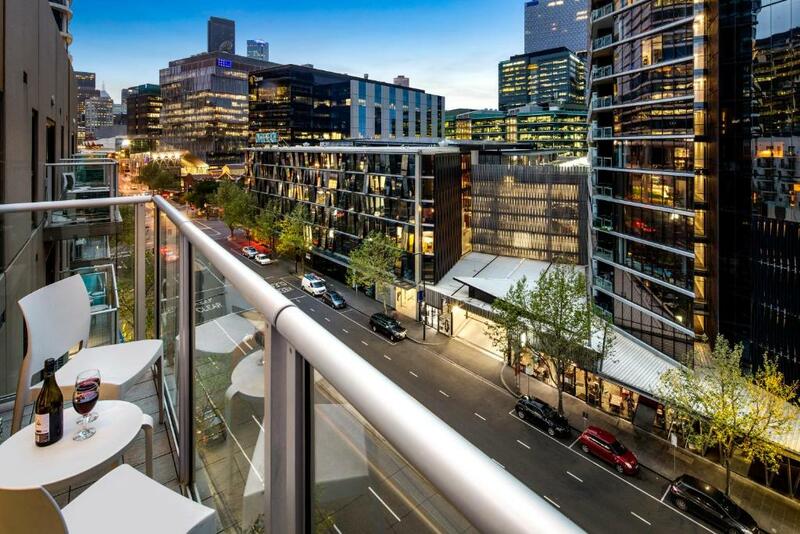 take a short walk across the Southern Cross bridge and make your way into the heart of the CBD, don't want to walk? Jump on the Free tram located outside our door that takes you to many major attractions around Melbourne. We have a number of delicious cafes, restaurants and of course delicious coffee in the area. Area Info – This neighborhood is a great choice for travelers interested in convenient public transportation, clothes shopping and atmosphere – Check location Excellent location – show map Guests loved walking around the neighborhood! House Rules Quest Docklands Apartment Hotel takes special requests – add in the next step! Quest Docklands Apartment Hotel accepts these cards and reserves the right to temporarily hold an amount prior to arrival. Please note that this property requires a credit card pre-authorization upon check in. A damage deposit of AUD 50 is required upon arrival – that's about 35.76USD. This deposit is fully refundable at check-out as long as there's been no damage to the property. Please inform Quest Docklands Apartment Hotel of your expected arrival time in advance. You can use the Special Requests box when booking, or contact the property directly using the contact details in your confirmation. only the ventilation in the Corridors could get rid of people who were cooking " Curry" in the room. Every time I would have a shower or my partner, the water kept splashing decent amounts on the floor (in the studio apartment). So convenient especially during the footy games. Studio apartment was cosy for two and had everything we needed. The location was fantastic! Ease of access to view the AFL football being played at Marvel Stadium via entry and exit on level 4 and the access to eateries just outside level 4 entry. Hot water went cool in shower on 2nd morning. We received an upgrade as it was my wife's 60th Birthday. Much appreciated. Close to public transport. Very efficient lifts. I just loved the location. I get lost all the time and my friend suggested staying here as it was right near the start for Run4Kids but next time I come up for the football I would definitely stay here. We liked everything but the coffee.